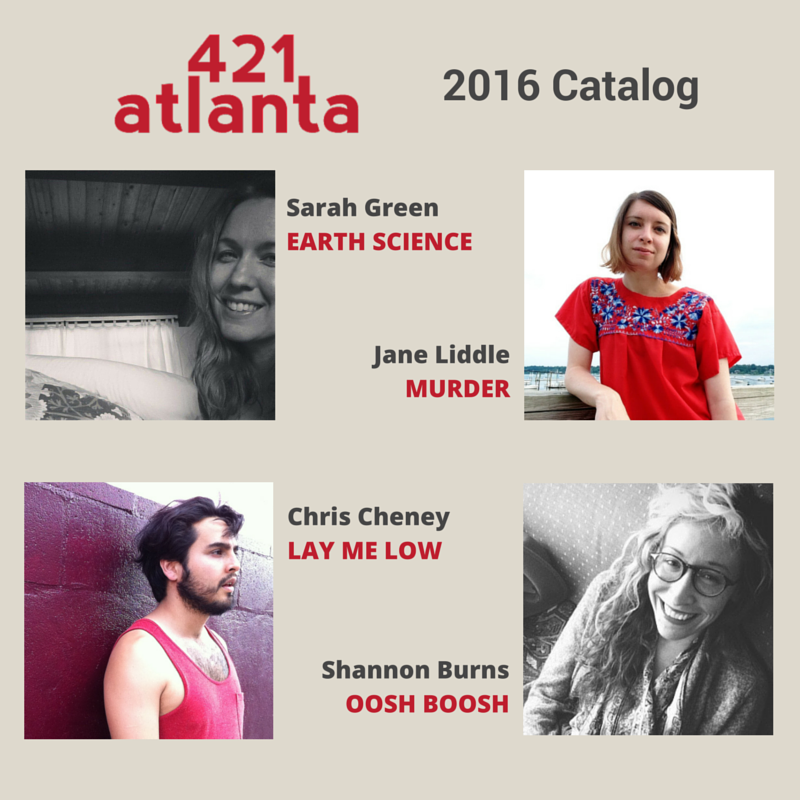 Announcing the 421 Atlanta 2016 Catalog! Thank you to everyone who participated in the Secret Book Scouts submissions. It was special and beautiful to read these little love letters that people wrote about authors they believe in. Thank you to these four authors for entrusting their brilliant manuscripts to 421 Atlanta. I hope to do right by them! And hey! Thanks to all of everyone who supports this press and independent literature.